Astrophotography for Beginners | How to Take Incredible Night Sky Photos! Looking up into the night sky with just your eyes and maybe a telescope is amazing on its own. But it can be even better when you photograph and record it for your memories. Astrophotography allows you to capture some of the most beautiful things in our world and keep a little snapshot of it. But this can also be a very daunting hobby. Even a simple camera can be quite expensive, and your run-of-the-mill smartphone definitely will not do the job very well. So how do you even begin? What type of camera do you need? What’s a good first step? 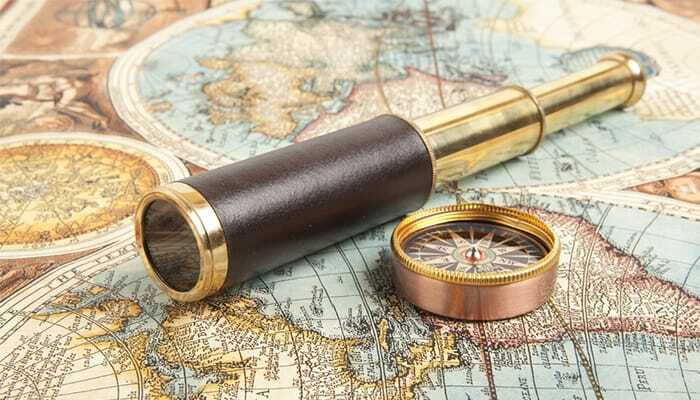 This guide will tell you what you need to know to get started with this captivating hobby. First, spend a lot of time looking at the night sky. 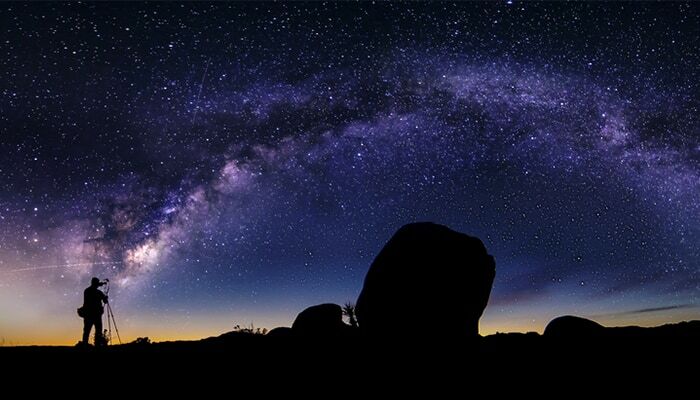 Find a place free of light pollution and see the stars in their full amazing beauty. 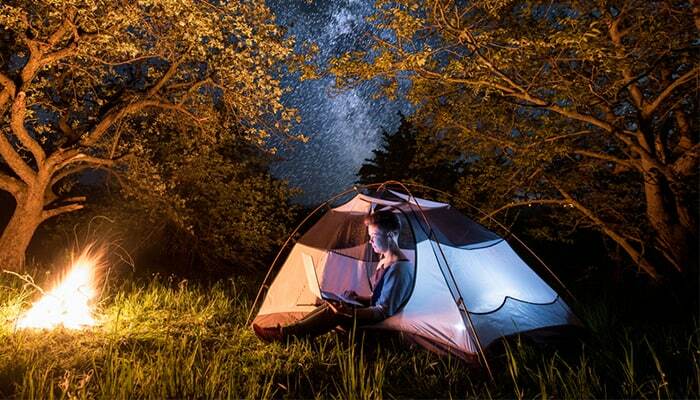 Don’t bother with any sort of expensive equipment until you know for a fact that you enjoy the views of the night sky. Now once you actually know that you love the sight of the night sky above you, you may want to really begin searching for a workable camera. And for the record, your average point and shoot camera is not going to cut it. And your smartphone will also be woefully inadequate. But none of that means that you need to spend a pile of money on a camera. There are a few factors that you really do want to pay close attention to while you’re out picking the perfect camera for you though. I’ll get more into detail on that below, but first, you should have a basic sense of what astrophotography looks like and the different styles that people like to produce in their photos. Basically, the exposure time (or shutter speed) is the amount of time that your camera’s sensors or film are exposed to light (the amount of time that the shutter is open). Shutter speed can be as quick as 1/1000 of a second to multiple seconds. In regular photography, you might use a very short exposure when you’re shooting a sporting event. A short exposure shot will produce a crisp image of, say, a sprinter or a hockey player, freezing quick-moving objects and people in place. In astrophotography, a relatively short exposure shot can produce a nice, crisp image of the stars or the Milky Way. You will generally want a longer shutter speed than you’d use in typical daytime photography, however, since the night sky is so dark. The longer your shutter is open, the more light can come in and the brighter your image will be. The there’s long exposure. 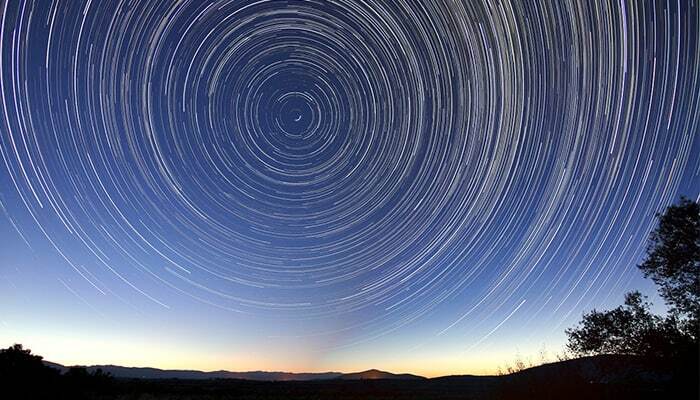 Have you ever seen a picture of the night sky with stars swirling around in circles? Photos like this one or this one often use long exposure shots to get this aesthetic—more on creating these kinds of “star trails” below. 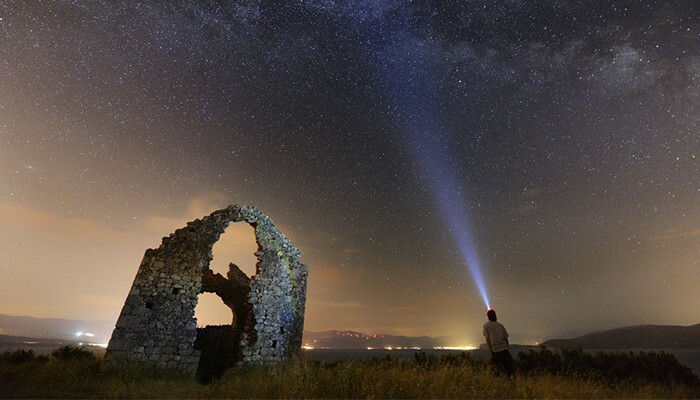 Take a look through photos of the night sky to get a sense of your style preferences. What kind of photos do you want to produce? As you look, you may also get inspired about all the different things you can photograph: the Moon, stars, the Milky Way, and more. The key to capturing good images is investing in a decent camera. You’ll need to upgrade from your phone or a basic point and shoot and instead get a DSLR camera. You don’t need to spend thousands on the best model out there, but you’ll want at least a solid, entry-level DSLR. You can find a good model for $1000 or under. Take a look at the entry-level options offered by Nikon, Canon, and Sony. Remember that unless you’re taking a simple picture of the Moon, the object that you intend to photograph is probably a very faint speck in the night sky. Your finely attuned eyes that evolved over the millennia can see the stars just fine, but an average phone camera turned to the sky will product an image of solid blackness. To compensate for a lot of this darkness, shutter speed is an important feature for a camera. Put simply, shutter speed is the amount of time that your shutter stays open. As I’ve mentioned up above, a slower shutter speed means more light admission through the lens. That extra light of course results in a brighter photograph. Second, you have aperture, which is the diameter of the lens through which the light passes. A wider aperture results in a higher quality photo, but can also be heavier and more expensive to buy. If you combine a large aperture with a slow shutter speed, then a lot of light will be captured. Then there’s ISO, which is the particular light sensitivity of your camera at the moment. Don’t worry yourself with the technical details, just bear in mind that a higher ISO results in a brighter image. 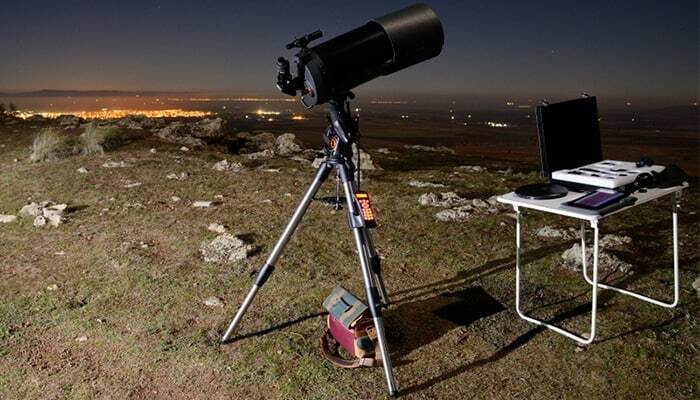 However, as ISO rises, so does the clutter from background light pollution or ambient light from your surroundings. In general, when you’re starting out, I suggest setting your camera to a long shutter speed, with a wide aperture and a high ISO (400 to 1600, or even more). Read through your camera’s instruction manual to learn how to adjust all these settings as each camera is a little different. You can also look for a video tutorial featuring your specific camera model. A decent tripod is one of your most important pieces of equipment. It keeps your camera nice and still so that you don’t get blurry images. This is especially important when you’re working in slower shutter speeds, as you will be when you’re doing astrophotography. If your camera moves even a tiny bit during the exposure, you won’t end up with a great image. So get a good tripod to keep your camera stable. If you’re planning to hike with your camera, then opt for a tripod made of a lightweight material such as carbon fiber. One additional tip: I sometimes find that my camera moves a little as I push down and release the shutter button. I often set my camera on a timer (even just a 2-second delay works), so that the camera is perfectly still. Next up, extra lenses. Your camera may come with some sort of lens, but I recommend picking up a wide angle lens with a wide aperture for your nighttime shots. A lens like this one by Rokinon will serve you well for astrophotography. Then there’s a headlamp and flashlight. After all, you’ll be out in the dark and will need a way to see as you move around! If your camera is at work and you don’t want to ruin the exposure, then simply set your headlamp to a very low setting if you need to move. Make sure your headlamp has a red light setting too. 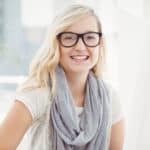 Using a white light at night will actually destroy your natural night vision, while a red light can light your path without ruining your night vision. You can also use these light sources to experiment with “light painting.” Notice how in an image like this one, the landscape is illuminated, adding a bit more interest to the photo? You can achieve this effect by shining a light on landscape elements or anything you want to highlight in the foreground. Try illuminating trees, rocks, or any other interesting items in the area. Finally, if you don’t live in a good dark sky area, you may find yourself hiking out to scenic locations for your astrophotography hobby. You’ll need some essentials like a decent pair of shoes, a backpack for carrying your equipment, water bottle, and so on. 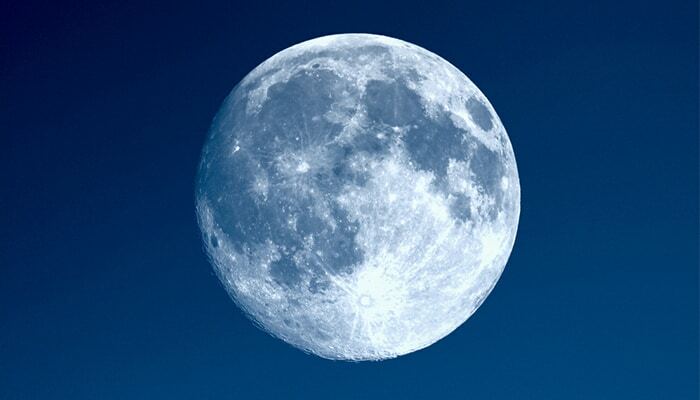 When the Moon is dark, the rest of the night sky is more easily visible. Look for nights that are especially dark (new Moon) and clear. That said, if you specifically want to take photos of the Moon, you’ll of course want it to be out in its full glory! In this case, you’ll need a way to find out when the Moon is full. Moon Phase Calendar Plus: This app tells you all about the phases of the Moon. What phase is the Moon in now? What does it look like? You can also view an entire Moon phase calendar for the month. So why is this useful? If you’re hoping to photograph stars, you want the darkest, clearest sky possible. For example, try a night with a new Moon, when the night sky will be darkest. In addition to checking on the Moon, however, you should also keep an eye on the general weather forecast, since clouds will obscure the clarity of the sky and shield stars from view. Moon Giant: This website fulfills the same purpose of telling you what’s going on with the Moon. For instance, I just checked the site on October 30 and can see that the Moon is in the waning gibbous phase with 64% illumination. Tomorrow, on Halloween, its illumination will decrease to 52%. November 5 to 9 look like great nights for astrophotography since the Moon will be waning crescent, new, and then waxing crescent with only 0 to 6% illumination. Choosing a good night for astrophotography is one part of the challenge. Another consideration: where to go to take your photographs. If you live in a busy city, light pollution may ruin views of the night sky from your own backyard or rooftop. Of course, experienced photographers have a number of skills and tricks they use to make the most of even awful conditions. However, as a new astrophotographer, you will achieve the best results (and the least frustration) if you seek out good conditions. International Dark-Sky Association: This organization works to preserve dark skies and create refuges from the relentless light pollution of modern life. You can check out their webpage on International Dark Sky Places for a list of locations where you can find dark skies. They use six different designations, such as International Dark Sky Parks and International Dark Sky Communities. Take a look and see if there’s a dark sky location near you! Dark Sky Finder: This app offers a light pollution map that covers the entire world. You can quickly see how light pollution is in your area and find nearby dark skies. 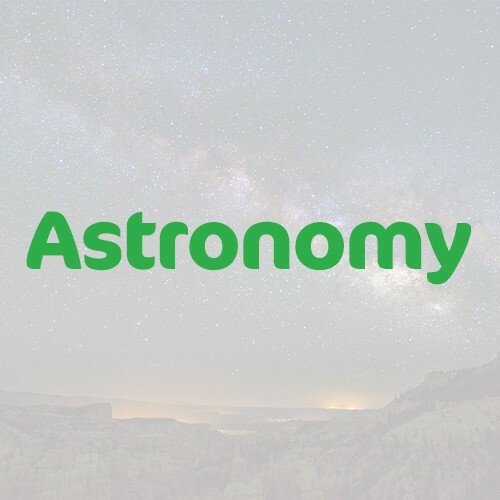 The app also has a list of over 1000 Dark Sites that are ideal for stargazing or astrophotography. Plus, it also offers clear sky charts, so you can get an idea of how clear the sky is in a particular location. Light Pollution Map: You can also check out the Light Pollution Map website to see quickly and easily what the light pollution situation is like in your area. With these three resources, you should be able to find a dark sky near you wherever you are in the world. And if escaping the city truly isn’t an option, then I recommend simply getting to the highest point possible (e.g. on top of a tall building). For more information on finding dark skies for your astrophotography, check out this guide to astronomy! Practice and experiment! What’s the worst that can happen—you take a bad photo? Go ahead and start snapping, and don’t be afraid to experiment. Often, the best way to learn is from “mistakes,” which really function as feedback. For example, as you’re taking your first shots, experiment with shutter speed: Try 1 second, 3 seconds, 5 seconds, 10 seconds, 30 seconds, and so on. See how each image turns out. Set your camera to manual focus. You’ll want to focus on “infinity” for astrophotography, since the things you’ll be photographing are pretty far away. Check out this guide for more information on how this works—the process may vary a bit depending on which camera you have. Figure out how all this works in the daytime before you make any trips into the wilderness at night. Set your lens to infinity and then try shooting something located very, very far away like a distant mountain or tree. Experiment with white balance. Your camera should have a setting that allows you to adjust the white balance. Doing so will basically change the color of the sky in your image. Typically, your camera will be on auto white balance by default, but this isn’t always ideal for astrophotography. Try using a “daylight” or “sunny day” white balance setting instead, even though this seems counterintuitive. Or you can manually set a customized white balance to suit your preferences. Again, this is something to mess around with once you’ve got your camera before heading into the field. Shoot in RAW file format, not JPEG. RAW files might take up more storage space, but they also make your life easier and give you more control if you plan to edit images in Photoshop or other software as they contain much more information. Get inspiration from other astrophotographers. Often, photographers will share how they created their shots, from which camera they used to their exposure length to ISO to any special techniques. You can learn a lot simply from seeing what other people are doing. So find some astrophotographers you admire and follow them on Instagram or visit their websites. 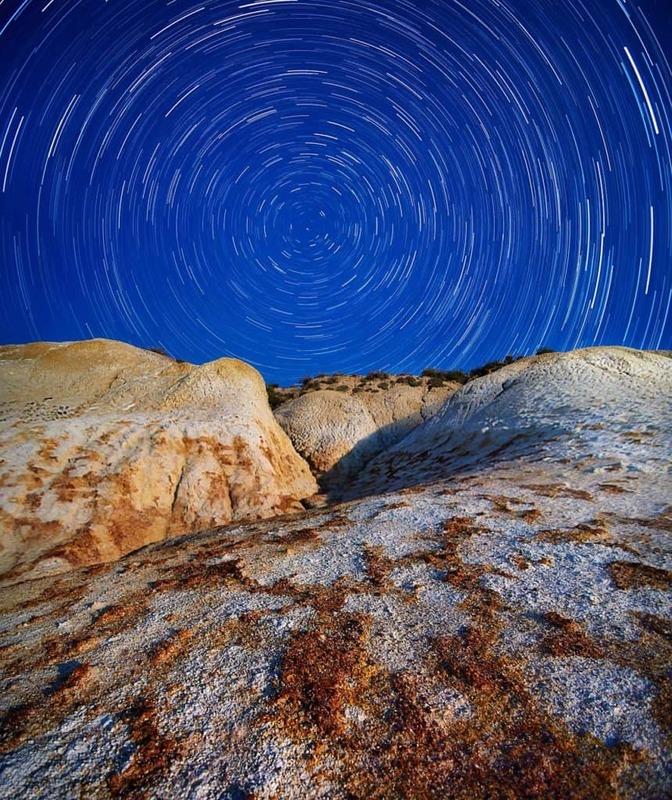 A star trail photograph captures the changing positions of the stars in the night sky as the Earth rotates. Instead of looking like little dots of light, the stars appear as streaks or lines across the image. Use one very long exposure (I’d suggest at least half an hour). Use multiple shorter exposures and then “stack” them. I’ll give a general overview of these methods here. The first way is simply to use an ultra-long exposure of multiple minutes or hours. This can get a little complicated, since some cameras only allow for exposures of up to 30 seconds, which is not long enough for star trails. If your camera includes a Bulb setting, that will allow you to keep the shutter open for longer periods of time. Simply put, the longer the exposure, the longer the streaks of light from your star trails. You might also need some extra batteries, as this can be quite draining on your camera. You should choose a very dark location (on the night of a new Moon) for this kind of photography. Try some test shots at around 30-second exposure first to see how they turn out. Keep your ISO on the lower end for this kind of photography (between 100 and 350) to cut down on noise (that awful grainy look that ruins so many otherwise good pictures). When you’re happy with your camera settings, go ahead and set up a longer exposure of around 15 minutes. Again, adjust the settings (ISO, aperture, etc.) as needed, and get a sense of how the trails are turning out. Then, once you’re happy with your 15-minute shots, try out some with an hour or more exposure. You might want to bring a nice big mug of hot coffee or cocoa to keep you company! The second option is to take a series of images and stack them. Again, you’ll take some test shots and see how the stars show up in your images. Adjust your settings as needed. In general, you’ll want a wide aperture, a higher ISO, and a shutter speed of around 15 to 20 seconds. Your camera might come with an intervalometer. If not, you’ll need to use an external one. This will allow you to capture many photos at specified intervals. To avoid breaks or gaps in star trails, ensure that your shots occur in rapid sequence, with less than 1 second in between them. Once you’ve got all your shots, you will stack the images back at home to create your star trails. Using a program like DeepSkyStacker, Star StaX, Image Stacker, or Photoshop will make this process easier. 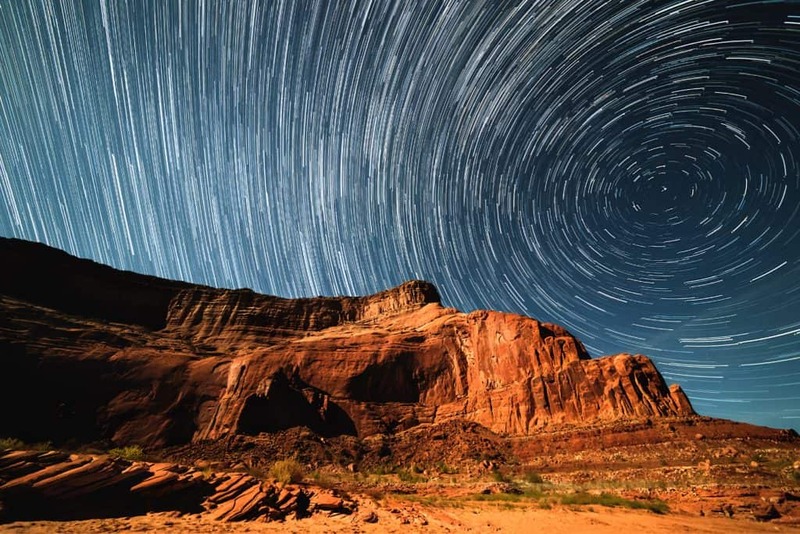 Creating star trail photography can seem daunting at first, but with a little practice, you’ll soon get the hang of it! There are a lot of different steps and variables, however, depending on the precise camera and equipment you have. You can find additional help on creating star trails from the guides here, here, and here. Whether you’ve been photographing the Moon or the Milky Way, you’ll probably want to do a little editing afterward to bring out the best in your images. I don’t have room here to write a full guide to post-processing, but there is tons of information readily available. Photoshop and Lightroom are big names in photo editing, and I suggest checking them out and seeing how they can help you adjust and manipulate almost every element of your photos. And finally, as I mentioned up above, it’s important to shoot in RAW, as this will serve you better in the post-processing stage. I’ll leave you with a few of my favorite video tutorials on astrophotography. Lonely Speck YouTube channel: This channel has tons of great, informative videos on so many aspects of astrophotography. After falling down this rabbit hole, you’ll emerge with a much improved understanding of astrophotography. This tutorial is aimed at beginners using DSLR cameras. This video focuses on the Milky Way, everything you need to know from planning your shots to editing them afterward. Here’s a video explaining and recommending lenses for astrophotography. Finally, keep in mind that there are numerous product-specific tutorials out there on YouTube. Once you’ve chosen a camera, you can search for your exact model to find advice on how to use it. Many people find these tutorials to be extremely helpful supplements to the user’s manual. 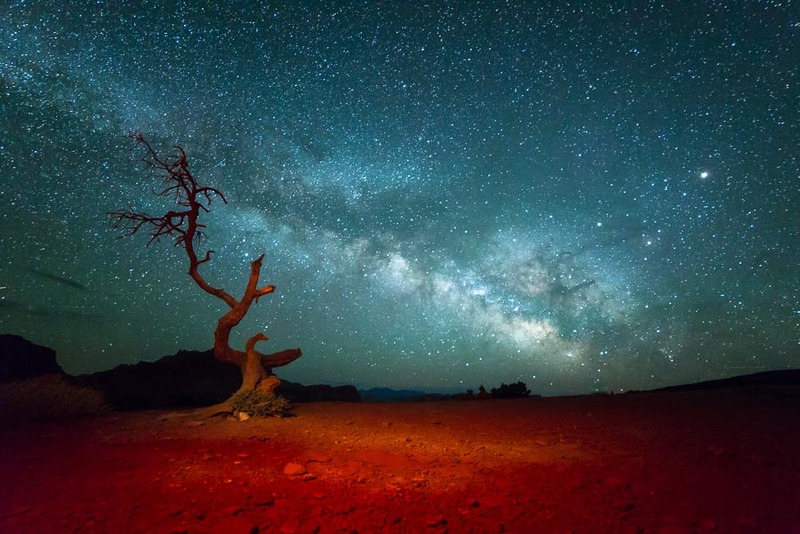 Astrophotography can provide you with some stellar images with which to decorate your walls. 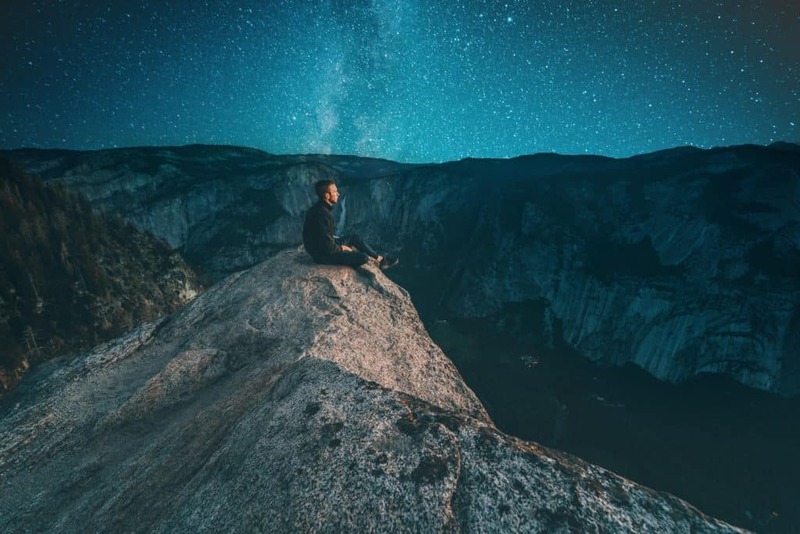 But it can also give you hours of peaceful reflection as you wait out a long exposure or embark on camping trip to photograph stars from a remote corner of the earth. Of course, it can also give you some moments of frustration as you figure out how to work a new camera and all its settings and how to master new techniques. Yet with some time and practice, you can soon acquire all the skills you need. 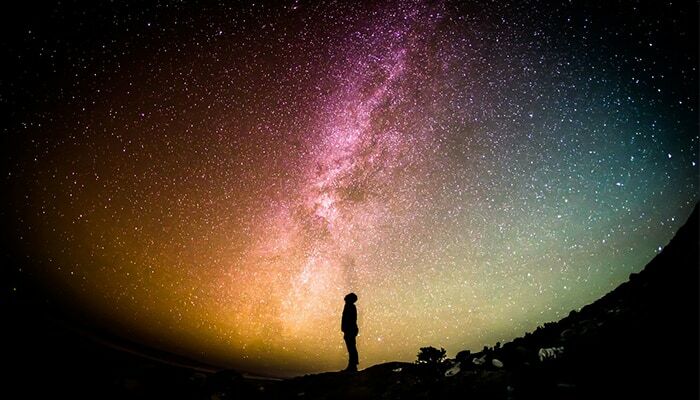 For many people, that sense of awe and wonder that comes from looking up at the stars never really goes away. Activities such as stargazing, astronomy, and astrophotography connect us to something so much bigger than ourselves. So if you’re about to take up astrophotography, congratulations. You’re about see the universe in a whole new way. Hey I’m Jenny! Thanks for checking out my guide to Astrophotography 😀 If you’re looking for a hobby that’ll give you a feeling of awe, appreciation and insignificance all at the same time, Astrophotography is for you! Hopefully I’ve given you a taste of how to get started – now it’s over to you!